We’ve been lucky this year with not one, but TWO royal weddings. 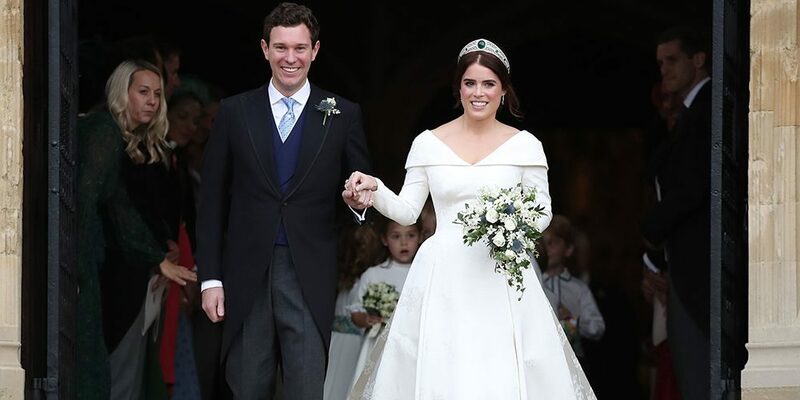 On Friday the 12th of October Princess Eugenie, the Princess of York and daughter of Prince Andrew and Sarah Ferguson, walked down the aisle at St. George’s Chapel to wed Jack Brooksbank. The hype around the day may have been slightly lower than that of May’s royal wedding between Prince Harry and Meghan Markle, but the day’s nuptials certainly did not disappoint. 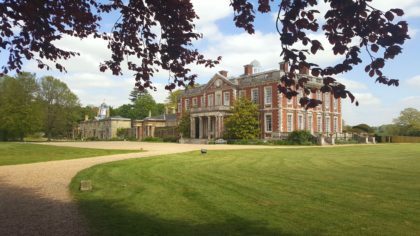 The couple said their I do’s at the same location where Meghan And Harry tied the knot earlier this year, and it wouldn’t be a royal wedding without Prince George and Princess Charlotte adding a bit of cuteness with their roles as flower girl and page boy. Before we get into the details, take a look at the smiling couple just after leaving St.George’s Chapel. Can you blame us for wanting the relive this magical day?! It was the perfect embodiment of a truly royal celebration. Kate’s colourful pink dress was an absolute crowd pleaser, while Meghan Markle opted for a darker hue wearing navy blue. …And now we know why she covered up her look with a coat…royal baby on the way! Jewel tones were a favourite among wedding guests. Below, Sarah Ferguson wows in emerald green, similar to Princess Eugenie’s tiara, while Princess Beatrice looks lovely in a bright royal blue. The crowd was sprinkled with familiar famous faces like Pippa Middleton, Demi Moore, Ellie Goulding and Cara Delevingn who were all wearing show-stopping guest attire we could take a few notes from. We must say though, that the highlight of any royal event is seeing what George and Charlotte and their sweet yet mischievous little smiles. All in all, it was an absolutely gorgeous day from start to finish. The bride’s dress by Peter Pilotto was a masterpiece, to say the least. Its open back was not only stunning but was meant to show off scoliosis scars to inspire others with the condition. Going against tradition, Princess Eugenie chose not the wear a veil but instead topped off her look with the most stunning tiara. She chose the wear the Greville Emerald Kokoshnik Tiara. Dating back to 1919, the royal bride’s something borrowed, was on loan from her grandmother, the Queen. Princess Eugenie, ninth in line to the British throne, and tequila executive Jack Brooksbank tied the knot at Windsor Castle on Friday. The 28-year-old bride wore a gown by British designers Peter Pilotto and Christopher De Vos, and a diamond and emerald encrusted tiara loaned to her by the queen. Later that evening the Princess wowed again by wearing a breathtaking blush silk gown by American designer Zac Posen. Although she broke with tradition by not continuing to wear white, she couldn’t look more regal. We think the couples glowing demeanour speaks for itself…this was truly a magical day from start to finish.